Combining the Internet with the traditional industries, it promotes the evolution of the economy. With the development of the Internet, different media forms are constantly emerging. The Internet celebrity is the new product in the era of Internet+. 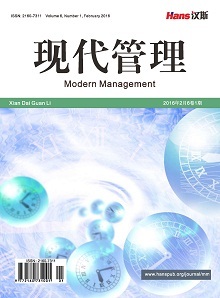 This article studies business model innovation in China’s media economy in the era of Internet+. The article focuses on the commercialization of Internet celebrities and studies the current situation and problems of Internet celebrity, and provides the development tactics. 扈立. 第五媒体的商业模式研究[M]. 北京: 北京邮电大学, 2008. 陈玉霞. 中国新媒体商业模式探析[J]. 探索思考, 2009(3): 6-12. 刁玉柱, 白景坤. 商业模式创新的机理分析: 一个系统思考框架[J]. 管理学报, 2012, 9(1): 71-81. 郭全中, 郭凤娟. 平台经济与媒体商业模式变迁[J]. 青年记者, 2013(6): 16-18. 于正凯. 价值与关系: 网络媒体商业模式研究[M]. 上海: 复旦大学, 2013. 林翔. 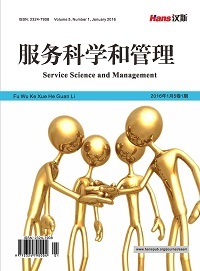 互联网时代媒体经济发展研究——基于平台经济理论[M]. 武汉: 武汉大学, 2013. 孟凡泽, 张思佳. 北京网络直播行业自律公约:网络直播主播需实名认证[N]. 京华时报, 2016-4-14. 张鸿飞, 李宁. 自媒体的六种商业模式[J]. 编辑之友, 2015(12): 41-45. 罗珉, 李亮宇. 互联网时代的商业模式创新: 价值创造视角[J]. 中国工业经济, 2015(1): 95-107.